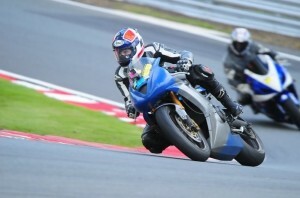 To celebrate the start of the 2015 motorbike season, at Bikesure we teamed up with our pals over at PistonHeads to give away a free track day experience to one of their forum members. Running from March 2 to May 12, PistonHeads patrons were entered into the prize draw by calling up to get a quote on their bike insurance. Arranged by MSV Trackdays, the winner was given a choice of a track day at either Brands Hatch, Bedford, Cadwell Park, Oulton or Snetterton. “I honestly can’t remember exactly when it was I got into bikes,” Alex recalled when we spoke to him. “It was just after I got dumped by an ex, I know – I decided on a whim to go for my CBT, the obsession started and I haven’t looked back. 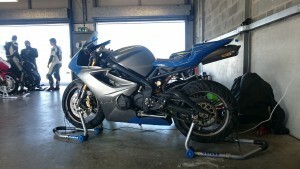 f“My garage is now home to three bikes, a Triumph Street Triple R, a Triumph Daytona 675 and a Kawasaki ZX6R Ninja G1. The Ninja is my favourite by miles – it isn’t the fastest, and it’s a bit dated really, but it was my first proper big bike and is in great condition for its age. I’d never get rid of it, purely because in 20 years I know I’ll be relying on it to relive my youth. With a 250-mile drive from Falkirk to Oulton Park ahead of him, Alex determined to get a good night’s sleep before his track day. A restful sleep wasn’t to be though, as an all-too-familiar mix of late-night TV and midnight snacking saw Alex get only an hour’s sleep before his 3am departure southwards. “I was heading down with my mate Neil, but I was absolutely shattered when he arrived around 3am. After a mix up with the towing caused by me being overly tired, I pulled myself together with the aid of a Red Bull or two and we hit the road. “When we finally arrived I was surprised at how few people had made the trip that day. Still, after a safety briefing and some testing we got out on the track where the lack of too many other bikers made for a lot of free space and some good laps. “After lunch I was fully awake and headed back out on the track. Despite the low number of other riders, I somehow managed to hit traffic, getting stuck behind a guy on a Ducatti 899 that I just couldn’t get past. I battled with the 899 for a good while, I’d get blocked off in corners and he just had the legs on me out of them, so he stayed ahead all the way around. 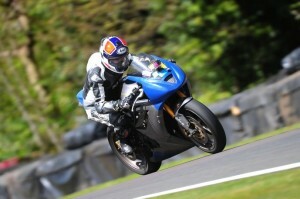 “I got back out again after pitting and had a good play with a guy on a Yamaha R1. It was a really equal challenge; he’d get away on the straights and I’d nip in through the corners, swapping the lead the whole way around – we had a really good chat and a laugh about it afterwards. “For my last session, I got out and did around eight laps all on my own. I’ve said it was my favourite track, and this ride just confirmed it; the sweeping turns, the chicanes and hills made it a fantastic ride, and I got some great times too – hitting 1m58s and averaging about 2m02s overall.